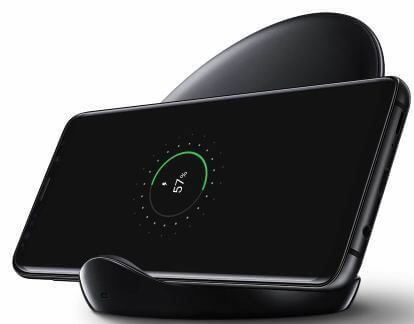 Samsung galaxy S9 and galaxy S9 plus has awesome convertible wireless charger. You can use is as a pad and set your galaxy S9 down, or stand it up to keep your phone at optimal viewing angle. Also portable so you can easily take it with you. But several users reported wireless charging issue galaxy S9 and galaxy S9 plus Oreo. Have you been ever facing this type of issue in your devices? There are several reasons for galaxy S9 wireless charging not working such as remove S9 case before charging, damage port, faulted charger and more. This Samsung S9 and S9 plus wireless charging fast charge your device compare to wired charger. Check out each one listed below possible solutions to fix Wireless charging issue galaxy S9 and galaxy S9 plus. When your galaxy S9 & S9 plus battery low, place your galaxy S9 and galaxy S9 plus onto the wireless charger stand to charge your device. If Samsung galaxy S9 not charging, try below given methods to fix issue. Now check your galaxy S9 & S9 plus charge or not. Tap & hold the power button and select restart button to restart your Samsung S9 & S9 plus. Now check your galaxy S9 charge or not using wireless charging. Remove galaxy S9 and galaxy S9 plus case before put into charging stand. If you can use thick case, remove it because sometimes its stop the wireless charging working. If your S9 or S9 plus not charge, try to charge your device with another wireless charger. If charging your S9, your wireless charger is faulted. Contact your retailer and change your wireless charger. Always use original wireless charger of your device for safety. Also check charging port problem or not. Simply place your galaxy S9 and galaxy S9 plus onto the wireless charger stand to charge your device. This wireless charger stand holds your phone at a comfortable angle while it charges. 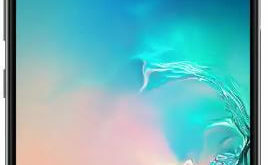 If none of the above given solutions worked for you to fix galaxy S9 and S9 plus wireless charging has stopped working, find nearby Samsung store and request for wireless charger replacement. And that’s all. I hope one of these above given method fix wireless charging issue galaxy S9 and galaxy S9 plus. Do you have any other tips you want to share? Let us know in the comment section below.